Born in to an artistic family, Polish painter Jacek Yerka combines technical accuracy with surrealist subjects ranging from odd-beasts to whimsical landscapes and architecture. His intriguing work has been exhibited in many countries around the world, and also captured the attention of Hollywood producer Rene Daalder who commissioned Jacek to design the monster-machines and surreal landscapes for the sci-fi film ‘Strawberry Fields’. These surreal subjects are perfect for jigsaws, calendars, greeting cards and wall art. Click here to view Jacek’s full image collection. We wish you a very happy 4th July from MGL Licensing. The image is taken from Hot Foot’s football/soccer style guide. Click here to view the full Hot Foot football/soccer presentation. Hot Foot 2014 World Cup Fever! 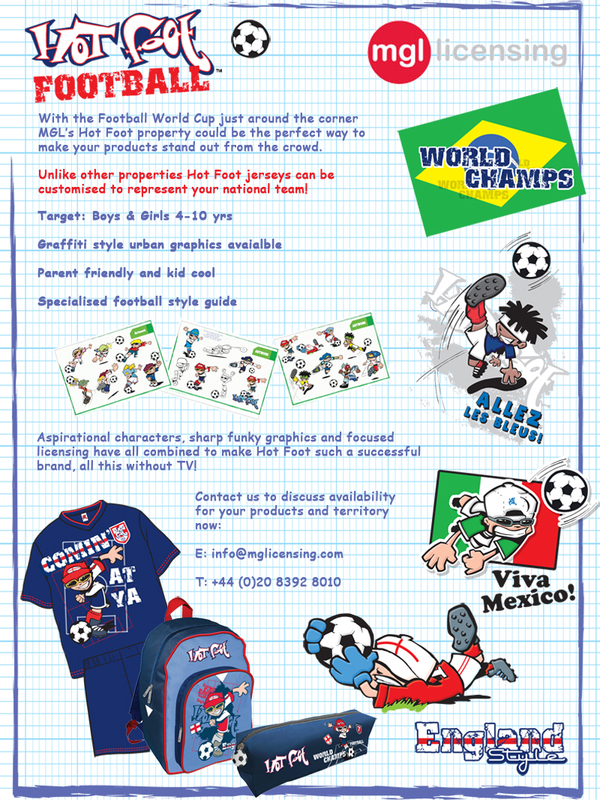 Click here to view the full Hot Foot football presentation or visit our website www.mgllicensing.com.